Times are good for green homebuilders. States are taking the lead by setting Zero Net Energy goals and requiring the use of solar panels on all new construction. Surveys indicate that sustainable housing is being built at increasing rates, with no downward trend in sight. But with the boom of green construction, contractors entering the green arena need to know what lurks in their contracts that could turn this boom to a bust. One of those often over-looked provisions in construction contracts that warrants attention is the waiver – or not – of consequential damages. Consequential damages are not your typical contract damages. These damages are “special” because they relate to the injured party’s particular circumstances and expectations. Consequential damages include damages such as lost profit, loss of use, and, of note to green builders, loss of energy savings, loss of reputation, and loss of tax credits or other government incentives. Therefore, it is not surprising that how parties choose to allocate the risk of consequential damages is arguably one of the most critical decisions in the contracting process. Since consequential damages are not tied directly to a breach, they have the potential to dwarf the amount of the original contract. As such, parties must be aware of both how their construction contract addresses consequential damages and its impact. Originally, consequential damages were predominately available in commercial disputes. With the explosion of green building, however, creative litigants have now begun seeking consequential damages for alleged injuries specific to sustainable construction, including lost tax credits and failure to obtain certification under certain rating systems in both commercial and residential projects. For example, the owner of a mixed-use building in Maryland counter-claimed against the general contractor for breach of contract and negligence. In addition to its contract damages, the owner sought to recover damages from its loss of a significant tax credit when the building failed to achieve LEED Silver certification. Similarly, in New York, a group of luxury condominium owners sued the developer when the units – that were heavily marketed as being LEED Gold – did not deliver on the green environment promised. These cases eventually settled, so we cannot predict how a court would have eventually ruled. But these cases illustrate that green builders face new and inventive challenges in court (or more likely arbitration) than those in traditional construction. And while it appears that no court has ruled on whether plaintiffs may recover for losses associated with failure to achieve certain green standards, the consequence to green builders looms large. There are, however, steps builders can take to protect themselves in the ever-expanding world of green and sustainable construction. First, green builders should understand why an owner is seeking to construct a “green” project. Perhaps it is to obtain LEED certification or a tax credit. Perhaps it is to achieve certain cost savings, like a lower monthly energy bill. By knowing what the owner’s objective is, the entire build team – owner, designer, and contractor – can discuss, negotiate, and agree on who, if anyone, will be held responsible should the project not achieve these goals. Second, contractors should take time to negotiate and clearly set forth the project goals. It is not enough to simply say that a project must be designed a certain way or be “sustainable.” If there is a particular goal in mind, the parties should spend the time and effort to write specific terms into the contract and assign responsibility for achieving these goals. Finally, builders should consider including a waiver of consequential damages in their contracts because the direct cause of these damages in a green building project will oftentimes be out of the builder’s control. These waivers, however, typically go both ways. Therefore, a consequential damage waiver will also eliminate a contractor’s claim against the owner for such things as lost business goodwill because of the owner’s allegations against the contractor. If the parties do not waive consequential damages, builders should negotiate to try and limit their liability by calling out the specific kinds of damages for which they are and are not willing to take the risk. As with most things, the key to a successful green building project is good communication between all team members. With good communication, the parties have their best chance at identifying – and resolving – issues before they become claims. Kathlynn Smith, Shareholder at Hunt Ortmann, specializes in construction and general business litigation, and has successfully represented clients in a wide variety of complex matters relating to contract administration and construction claims. 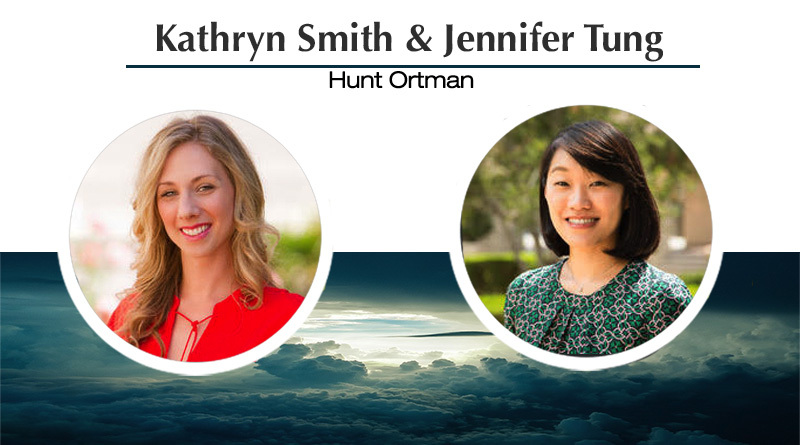 Jennifer Tung, Associate at Hunt Ortmann, focuses her practice on a broad array of construction-related matters, including breach of contract claims and construction defect litigation.